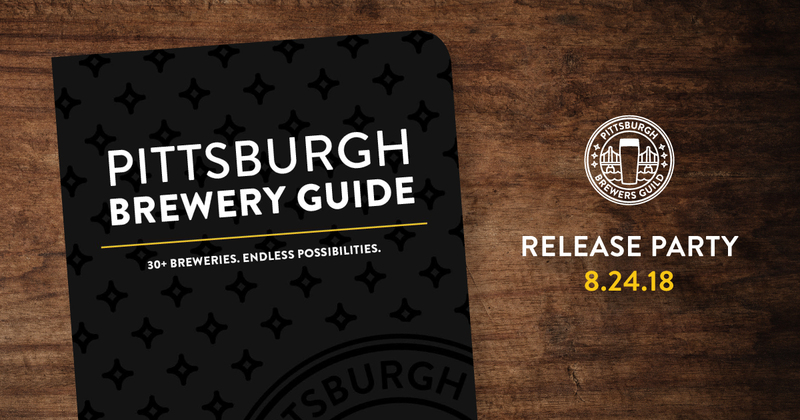 Join us on Friday, August 24th to celebrate the launch of the Pittsburgh Brewery Guide and interactive website: pghbreweryguide.com! Tickets for the launch party are $55 and include the first edition of the Pittsburgh Brewery Guide, a souvenir tasting glass, a pour of 10 exclusive collaboration beers, and a limited edition Pittsburgh Brewery Guild glass. In addition to trying the collaboration beers, three food trucks will be onsite, along with a DJ, and additional Pittsburgh Brewery Guide swag for purchase. The PBG is comprised of 30 tightly knit breweries in Allegheny County, each of them unique in their own way. The Pittsburgh Brewery Guide will showcase each of these members by providing location and detailed information on each, making them easily accessible to all beer lovers, Pittsburghers and visitors alike. In addition, there will be space for a stamp from each brewery so people can track and remember where they have visited and the beers they have tried. 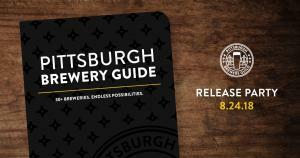 These handheld guides will be available for purchase after the event at all 30 breweries. An interactive website will also be released that will mimic the printed guide and include additional information about each brewery. The key feature of the website will be a virtual map that will allow users to create a personalized brewery tour across the city. The map will optimize the best route allowing the user to drive, ride-share, bike, or walk from point to point in the most efficient manner. The personally designed brewery tour can be shared and saved by sending it to the users phone or email. The website, http://pghbreweryguide.com, will allow people easier access to the 30+ Pittsburgh Brewery Guild members than ever before and will be launched in connection with the party.